One on One Interview: Javier Otaegui's Take On The Video Game Industry! The Founder and CEO of Sabarasa Talks To Us About The Video Games Industry! Hello Javier Otaegui thanks for giving us the opportunity to interview you once again! [JO]: Thank you! It’s always a pleasure! What are your thoughts about the current state of the gaming industry and the rumors that home consoles will no longer exist after the current console generation? [JO]: That’s an incredibly hard question to answer, but I believe each device is better fitted to a certain kind of experience. If you watch people nowadays, they play on multiple devices, they can play a short session game on their phones, a mid-session game on their tablets, perhaps a social game on Facebook, and a strategy or simulation game on your PC, but if you want the full experience of a AAA game, you prepare the coach and some snacks, then you dim the lights, and then you turn on your console at home for several hours. If in the future the tablets will be so powerful that you will be able to use them as game consoles in your living room, then it’s simply that tablets will become consoles. So I don’t think they will no longer exist, they will mutate. At Sabarasa we are planing to support the new consoles with our new games, but we consider tablets as a console-like as well. Do you feel Nintendo should do more to advertise their Wii U and 3DS consoles? [JO]: I live in Buenos Aires, so I don’t really get a real personal grasp on how big the advertising efforts in the US are. And I think the best advertisement is: “we have great games”. I’d rather see them supporting third-party developers than promoting their own games, but well it’s their business, so what can we say about that? Do you think ios will eventually replace handheld gaming consoles or do you think dedicated gaming devices will always be in demand? [JO]: I think smartphones provide a different gaming experience than handheld gaming consoles, and a different experience means a different moment in the day where you use the specific device. People don’t use a single device, so smartphones may coexist with handheld gaming consoles. What I’m not sure about is tablets versus handheld gaming consoles. You could argue that a tablet is in fact a handheld gaming console, with several extra features. So I guess the battle will be up to who has better games, in the long run. Do you think that hardware specs are still an important factor in making games enjoyable? [JO]: One of the games that I enjoyed the most in the last months was “To the Moon”. This game does not need practically any hardware specs. Of course, for the AAA game experience, the specs will be important at least for this new generation that is starting. But on the other hand, we are reaching game production limits, I don’t think we will see many 100M+ productions in the coming years. So if our bottleneck is production and not actually hardware specs, then at some point the specs will cease to matter that much. But time will tell, so far the specs arms war is still there.. In what ways do you feel the original Wii console changed the industry? [JO]: I believe the original Wii concept was truly revolutionary at the moment. By introducing super simple a TV-remote like controller, they broadened the gaming audience to places we had never imagined before. Non-gamers were scared of big controllers with sticks and tons of buttons. The Wii Remote changed it all, it brought motion sensing, familiarity and broadened the audience, and its underlying technology is incredibly low-tech if you think about it. Do you feel that an industry crash like the one that occurred in the 80's could happen once again if software quality control isn't improved? [JO]: I believe that right now the conditions are very different. We now have the Internet and we now have patches. This is an incredible step forward against the old retail model, which required games to pass very extensive (and expensive) QA checks, and required a publisher to lock millions of dollars to put the product in the street. It’s not the same equation compared to what we have right now with the market being flooded with thousands of games. I believe in the end the audience will know that certain platforms have higher quality games, and that other platforms have all kinds of games including the terrible ones. So I don’t think an industry crash will occur because of this: there are thousands of excellent games out there! Thank you for telling us what you think about the matter! We hope to interview again at some point and are looking forward to your future titles! [JO]: Thank you very much for the interview, it’s always a big pleasure! We hope to have news about our future titles soon! What did you think of our first One on One Interview feature? Let us know in our comments! 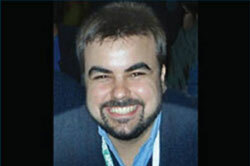 Re: One on One Interview: Javier Otaegui's Take On The Video Game Industry! Mr. Otaegui seems to get the industry better than most CEO's of major companies! It's a good thing that many people in the industry aren't Pachteresque. Extremely detailed and well-written interview, Rukiafan! This guy is great! He makes some very wise points as well. Nice interview. @ConstantUpgrader It was a fun article to take part in! Lovely interview. I like how JO wasn't being all "oh no the industry is doomed!" Very intelligent conversation an an enjoyable one to read. His words were very sound and intelligent and he makes some very good points. I thoroughly enjoyed reading this interview.